Infrastructure: A Latin American Priority? Is investing in infrastructure the best road to recovery for Latin America? Three experts share their insights. In a meeting in Chile earlier this year, finance ministers from around the hemisphere said improving infrastructure in Latin America should be a priority for achieving sustained economic recovery. Do you agree? Does investing large sums of money in infrastructure projects offer the best route to economic development or do obstacles like corruption, lack of transparency and poor long-term planning limit the success of these projects? What type of infrastructure (transportation, energy, digital, etc.) should be the target of these investments? Conor C. Kelly, managing director and head of International Global Infrastructure Finance at Scotia Capital: Improving infrastructure should indeed be a priority. Over the decades, infrastructure investment has played a significant role in spurring global economic development and growth. Recently, governments all around the world have allocated billions of dollars to infrastructure investment to stimulate economic activity during this global recessionary period, an effective counter-cyclical approach to economic development. Latin America faces two challenges in this regard. First, it has to invest in infrastructure to stimulate an economic recovery. Secondly, and arguably more importantly, it needs to invest heavily in infrastructure to fill a burgeoning infrastructure gap that was made more evident following the recent history of economic growth, and to support sustained future long-term growth. Although it can take some time to become evident, infrastructure investment has a direct positive impact on economic activity through the creation of jobs, increased efficiency and activity in the production and sale of raw materials and in attracting foreign direct investment. Initial target sectors vary by country but should be focused on transportation (both mass public transportation systems as well as roads), energy, education and telecommunications. Investing in transportation infrastructure will open up access to rural areas and reduce logistical costs, thus improving competitiveness and allowing the benefits of economic growth to reach poorer areas of Latin America. By investing in energy projects, a country can reduce its reliance on external energy prices and shocks, while improving efficiencies, and thus competitiveness. By investing in education and telecommunication infrastructure, governments can create knowledge wealth and provide an attractive environment for foreign direct investment. Jordan Schwartz, lead economist for Sustainable Development in the Latin America and the Caribbean Region at the World Bank: In Viña del Mar, the ministers of finance gave voice to a pervasive problem in Latin America: the relatively low stock and poor quality of infrastructure across the region. While the region continues to spend in the area of 2 to 3 percent of GDP on infrastructure, East Asian economies are committing 6 to 10 percent of GDP and the effects on competitiveness, growth and access of the poor to basic services follow the trends. Commitments from the region's governments to re-engage with private partners wherever possible and to commit public resources where necessary will be a key factor in the region's return to growth, but the trick will be to make investments that are financially, economically and environmentally sustainable. Recently announced public works plans may help to stimulate aggregate demand as well as fill some of the infrastructure gap; however, the range of impacts on short-term employment is tremendous, varying by local wages, leakage levels, the speed with which money hits the road, and, most of all, the exact investments being planned—sewerage expansion projects typically generate 100 times more short-term, direct jobs than, say, the building of a coal-fired power plant. Since today's capital expansion is tomorrow's recurring costs, Latin American countries' governments have to be careful not to build assets without a plan for long-term sustainability in mind. This means valuing the environmental impacts of quick decisions to build new roads or thermal power plants, building out in areas where consumers are willing and able to pay for services, and assuring that the private sector, even while lying low in a recession, is not being pushed out of a future role in investment and operations. Vincent McElhinny, manager of the Building Informed Civic Engagement for Conservation in the Andes-Amazon project at the Bank Information Center, an NGO that monitors multilateral financial institutions: Counter-cyclical investments in infrastructure can provide the type of economic stimulus that is needed to confront the financial crisis, while boosting competitiveness and innovation. In April, multilateral development banks announced they would increase support to Latin America and the Caribbean by providing as much as $90 billion in lending over the next two years—much of it in infrastructure. The region faces a tremendous opportunity to not only reduce the infrastructure gap with other developing regions and create jobs, but also to prioritize climate-friendly investments that accelerate adaptation, reduce greenhouse gas emissions and transform the energy sector. Economic recovery in Latin America will be more far reaching where infrastructure is coherently integrated into a 'green' stimulus, which focuses as much on institutions and investment incentives as on kilometers of paved highway or megawatts of energy generated. With a few exceptions, attention to climate change has been inchoate or absent in most Latin American stimulus plans. Following on past opportunities missed to manage the indirect and cumulative impacts of transport and energy investments, the wrong infrastructure stimulus plans can become an obstacle to transitioning toward a low carbon economy. The decade-old Initiative for Integration of Regional Infrastructure in South America (IIRSA) highlights the challenges of reconciling infrastructure and sustainability. While land use change constitutes nearly half of greenhouse gas emissions in Latin America and the Caribbean, IIRSA's promotion of transcontinental highways and the damming of pristine waterways is causing massive harm to forests and forest communities. Accelerating the devastation of fragile ecosystems could expedite the collapse of the Amazon basin. Climate change must also be integrated into energy investment. Yet well over half of Latin American countries energy investments in recent years ignored climate change in their design. With the added push for infrastructure in the economic stimulus packages across Latin America and an observed complacent opportunism by international financial institutions to lend more for big ticket infrastructure, Latin America should avoid opting exclusively for the short-term goals of jobs and growth over long-term sustainability. 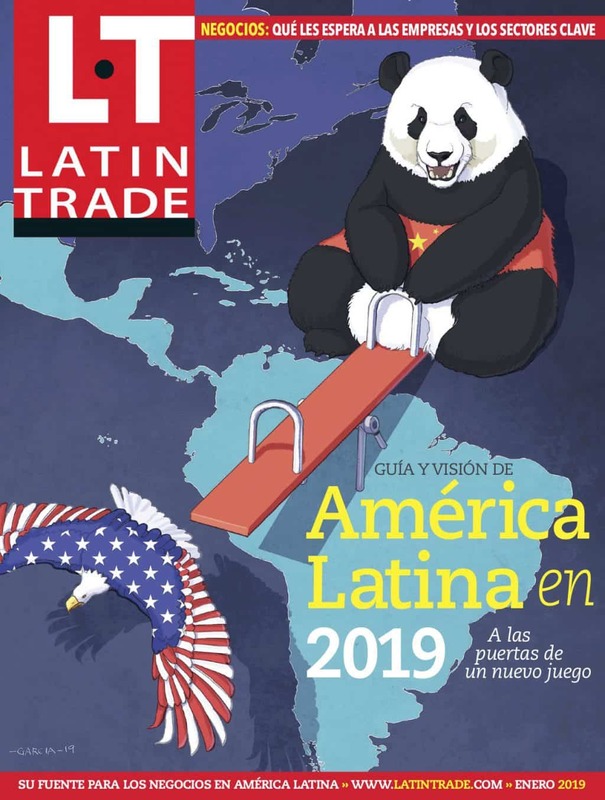 Republished with permission from the Inter-American Dialogue's daily Latin America Advisor newsletter.